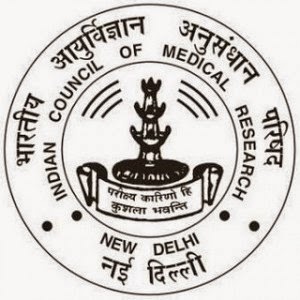 How To Apply: Candidates desirous for the above posts may appear for walk in personal discussion/test on the above date & time at ICMR Hqrs. Office, Ansari Nagar, New Delhi-110029. Those appearing for walk-in-personal discussion should bring with them (1) five copies of Curriculum-Vitae with self attested photograph pasted on one of it (2) One copy of each of the certificates (3) All certificates/testimonials in original. General Information: The posts are to be filled up on purely temporary basis. The appointment can be terminated/ withdrawn with one month notice from either side without assigning any reason. Since the appointment is purely temporary, the incumbent selected will have no claim or regular appointment under ICMR or continuation of his/her services in any other project. No benefit of Provident Fund, HRA, CCA, LTC, Medical Claim etc. will be considered. Age relaxation for SC/ST/OBC and other reserve categories will be as per Government Rules. No TA/DA etc. will be given to attend the walk-in-personal disucssion/test.